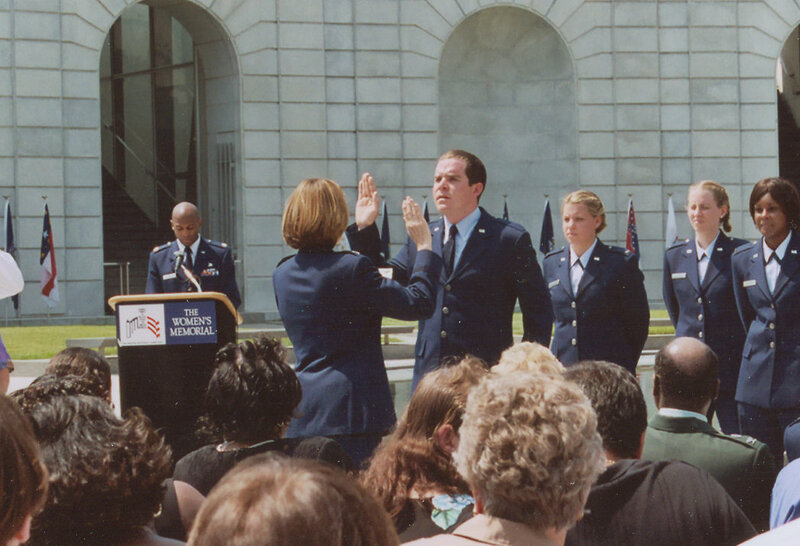 Me, being “practical.” Swearing in for the USAF, 2004. If not outwardly, I inwardly balked. Probably outwardly. I loved computers, but I was already sold on theology—8 years before I would earn a Master’s degree in the field. When we started Daily Theology back in 2011, it was just an idea—a way to bring theology to the world of computers and networks. And a way to integrate often obscure theological studies with the everyday world of social media and internet communication. I liked the idea, in short, because it kept my feet on the ground. Blogging keeps me tied to the earth—tied to theological topics that make sense, that are concrete, that apply to life together as a community of believers. Graduate work in theology—like most graduate work in general—does not stress a close tie to daily life. For example: My first 5 years of graduate work in theology were years of coursework. So. Many. Courses. 3 for my Master’s, 2 for my PhD. I remember one essay I wrote, for one class in my Master’s program, requiring me to add a “so what” section—to ensure its practicality in the daily life of the church. Others had implied relevance of course, but only one went out of its way to force the issue. At least, in my three years of Master’s work, with many future pastors and teachers, the question of relevancy to daily Christians was a common one. My Master’s Graduation…three years down, at least four to go! By the time I entered my PhD work, relevancy was something for which I did not have time. Or, better yet, relevancy was answered by the annals of history, decades and centuries after the greatest works had already been written. Relevancy is found in making the material accessible to (1) like-minded academics or (2) university students. Every now and then an academic writes a popular book, or makes a book accessible on the popular market (think Stephen Hawking), but this is a really, really difficult thing for most academics to do. Academic training–at least all the academic training I’ve received–simply does not involve simplifying complex thoughts to the level of the general public. Academic training involves understanding the complexities of daily topics that are too-often oversimplified. Blogging, especially the type of blogging we try to do at DT, forces me to attempt the exact opposite. It forces me to take my often-changing, highly complex ideas, and boil them down into a manner presentable to the generally-educated internet-using public. I am now beginning my seventh year of graduate studies in theology, and I have never appreciated blogging more. After finishing my year of candidacy exams (essentially 10 self-taught courses), I am venturing into the even-more isolating world of research and writing for my dissertation. To make a dissertation “practically” relevant (i.e., for daily life) is to rob it of its academic relevancy. I can work to make the project relevant through comments, epilogues, footnotes, etc…but the vast majority of the material is a highly specialized study that pertains to a particular angle of a particular field of academic theology. Some might say that continuing to write on a blog is distracting during this focused work, but I find it closer to a palate-cleanser—a finely sipped shot of cold Limoncello before dessert—grounding myself in the dirty and difficult work of practical theology before retreating again to the ivory tower of obscure academia. I never envisioned such a role for blogging in my academic life when DT began 4 years ago. And I certainly didn’t envision blogging as a form of my computer-programmer nature when I left the industry 9 years ago. But it is here, and it works, at least for me. Everyone has their reasons for blogging. Mine keeps me grounded, keeps me focused on finding the unexpected places of the Holy Spirit in everyday life. Sometimes I drone on too long , sometimes I get caught up in the heat of the moment, sometimes I overstep, but at least I keep trying to stay connected to the daily life of faith. Of all the things blogging has done for me, it has certainly done this.